Pharmacists are essential members of your healthcare team, especially when it comes to managing a complex, chronic condition. Many people don’t realize all the ways their pharmacist can help them manage their medication and live well with a chronic health condition. Here are seven ways pharmacists help you live easier, healthier and happier. Pharmacists have a thorough understanding of all medications, including ones you buy without a prescription. Medications that don’t require a prescription are called over-the-counter (OTC) medications. Some OTC medications don’t work well with certain prescription medications or certain health conditions. For example, ibuprofen and aspirin can make ulcerative colitis symptoms flare. If you have ulcerative colitis or other GI health conditions, you may want to avoid these medications. Your pharmacist can help you find the best OTC medication options that won’t interfere with your prescription medication or your condition. It’s common for people to take more than one medication at a time, including OTC medications and supplements. Sometimes two medications or supplements don’t mix well together. Pharmacists need to know about all your medications to avoid potential drug interactions. A pharmacist can spot potential problems and recommend treatment options to you or your doctor. One of the most important jobs of a pharmacist is helping patients manage medication side effects. Your pharmacist can help you determine if your symptoms are related to your diagnosis, your medication or something else. You should always tell your pharmacist about all the medications you’re taking. When your pharmacist is familiar with your complete medication profile, he or she can recommend medications or other treatments to help you manage medication side effects. There are always new medications and treatment options in the drug development pipeline. When these products become available to treat patients, pharmacists spend time learning about how they work, how they’re administered and how the new medication will affect patients. If a doctor has a patient with a rare disease, he or she might not be familiar with the medicine used to treat that rare condition. Doctors often have questions about medications and breakthrough treatment options, so they’ll talk to a pharmacist. Pharmacists help healthcare providers understand medications and their potential side effects. Patients often have questions about their medications, too. 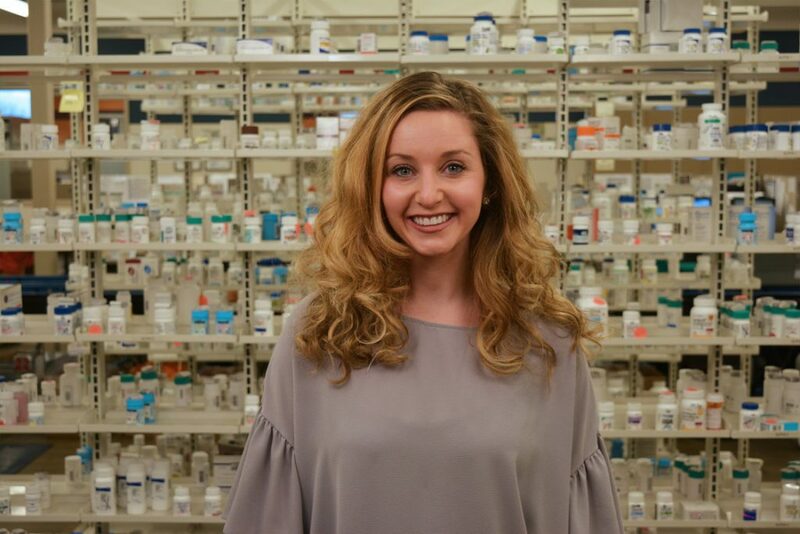 Pharmacists answer all kinds of questions related to medication management. Common questions include: How often do I take my medication? Should I eat when I take my medicine? What happens if I accidentally forget a dose? How do I store my medication? How do I dispose of leftover medication? My medication is making me feel sick; what should I do? If you have questions about your medication, HPS patients can contact clinical support 24 hours a day, 7 days a week. Pharmacists are trained to administer injections and give vaccinations. Many patients perform self-injections to administer medications. This can be an intimidating process. Pharmacists can help you learn how to administer your medication safely and overcome your fear of self-injection. Going to a pharmacy for vaccinations is often a more convenient option for patients, saving them time and a trip to the doctor’s office. Next time you need a flu shot or other vaccinations, visit the pharmacist or clinic at your local Hy-Vee store. All pharmacists must complete their Doctor of Pharmacy degree (PharmD) and take a test to get licensed in the state where they want to practice. This rigorous education requirement provides pharmacists with the knowledge and experience to care for patients with a wide variety of illnesses. Some pharmacists decide to continue their education and specialize in a specific area of practice. The Board of Pharmacy Specialties (BPS) provides specializations in cardiology pharmacy, critical care pharmacy, oncology pharmacy and more. Pharmacists can also receive specialty pharmacy certification, which provides additional training in specialty pharmacy. Antibiotic medications fight many common illnesses and bacterial infections. Bacteria can evolve and stop responding to the medicine. This is called antibiotic resistance. Not following your medication instructions can result in the bacteria becoming drug-resistant. Pharmacists play a crucial role in fighting antibiotic resistance. Pharmacists educate patients and help them follow prescription guidelines, which helps avoid antibiotic resistance. Sometimes doctors prescribe antibiotics when they’re not needed. Pharmacists reduce the chance of antibiotic resistance by preventing the use of unnecessary antibiotics and working with doctors to plan the best course of treatment. The clinical pharmacists at Hy-Vee Pharmacy Solutions (HPS) provide experienced care for patients living with complex, chronic conditions. The HPS team does more than dispense medication. Our clinical expertise is supported by personalized services from a registered dietitian, certified case manager and registered nurse. HPS clinical pharmacists and our entire patient care team helps you manage all aspects of your care to live easier, healthier and happier.